When I started this gag so many years ago, I knew I didn’t want the King to ever find the right flag. But when I was writing this piece, it just felt right. After looking to animals for so long, it made sense to look to flora, since his current flag was already green. I wanted to give the King some success, and yet leave him ultimately losing. The perpetual underdog deserves some hope. The artist in the first panel is Benjamin Rivers, the third panel is Claude Bordeleau (who draw the Alex & Charlie comic I write every month for Owl Magazine – check the banner link! ), and Matt Daley. 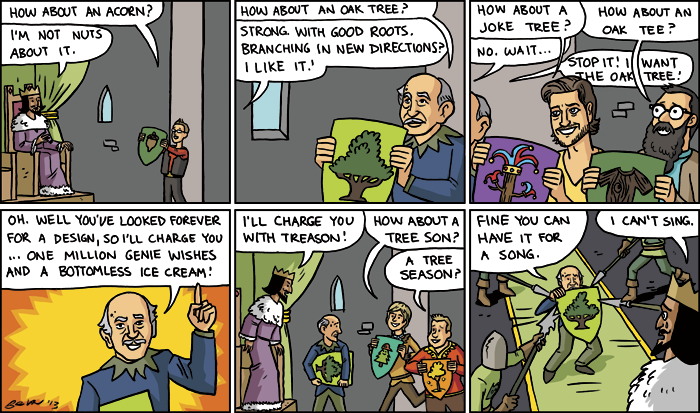 In the fifth panel, the guy in red is Scott Chantler, who wrote Two Generals (a biography of his grandfather) and the Three Thieves series (a medieval adventure – maybe right up your alley!). When I had to choose the artist of the winning Oak Tree flag, I was stumped. It couldn’t be a peer, but someone I looked up to. 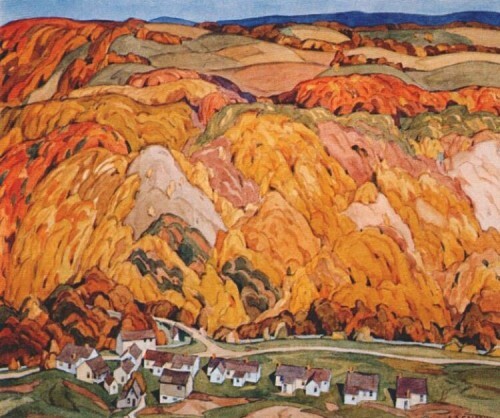 I realized that AJ Casson, who was my favourite landscape painter, would be perfect. 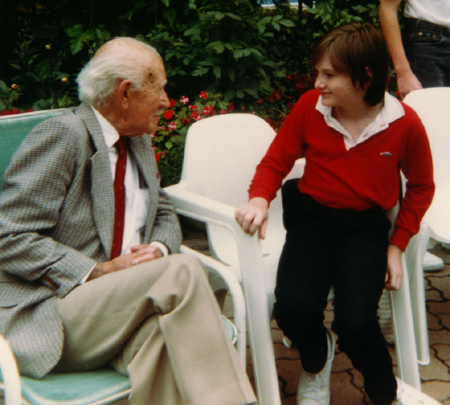 I was lucky enough to meet and hang out with him a couple of times as a child. He was very encouraging, and told lots of entertaining stories about being an illustrator. When I was studying comic artists after college, I realized that none of them simplified backgrounds in a way that resonated with me. Then I went to the Art Gallery of Ontario and saw the Group of Seven’s work again. 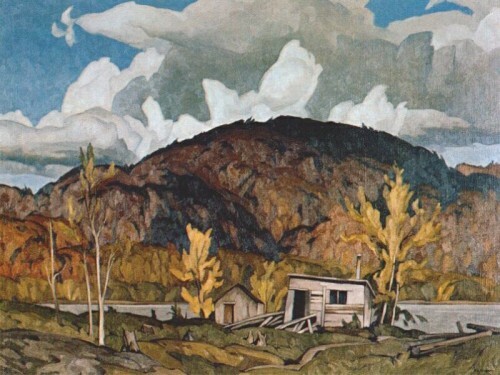 Casson, in particular, was the perfect blend of simple shapes and evocative colours. Here’s some of his work, and me getting to meet the master. The infantry is coming, the infanTREE is coming! My response would have been to agree, and say that if he survived the million genie wishes he could have the ice cream. The genie gives them out for free anyway. In the unlikely event that he did survive, I would then give him a tub of ice cream with the bottom cut out so it falls on his shoes.